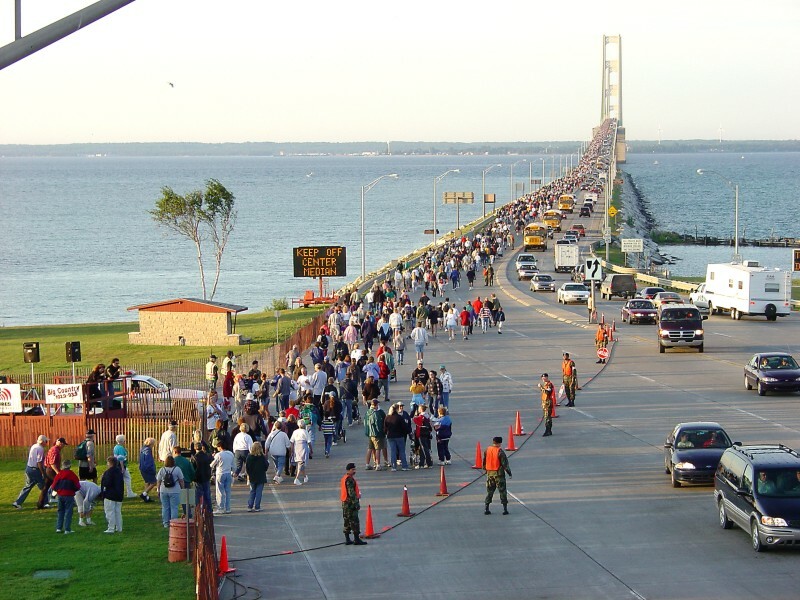 Why Would Terrorists Target the Mackinac Bridge? Federal prosecutors believe that the three Texas Palestinian-American men they are holding were targeting the 5-mile-long span. The men were arrested with 1,000 cell phones in their van. Prosecutors in a similar case in Ohio have said that TracFones often are used by terrorists because they are not traceable. 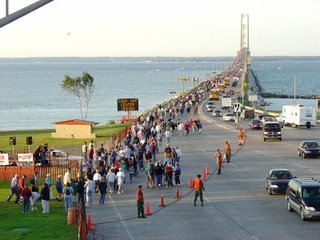 But, why would terrorists target the Mackinac Bridge in Michigan? 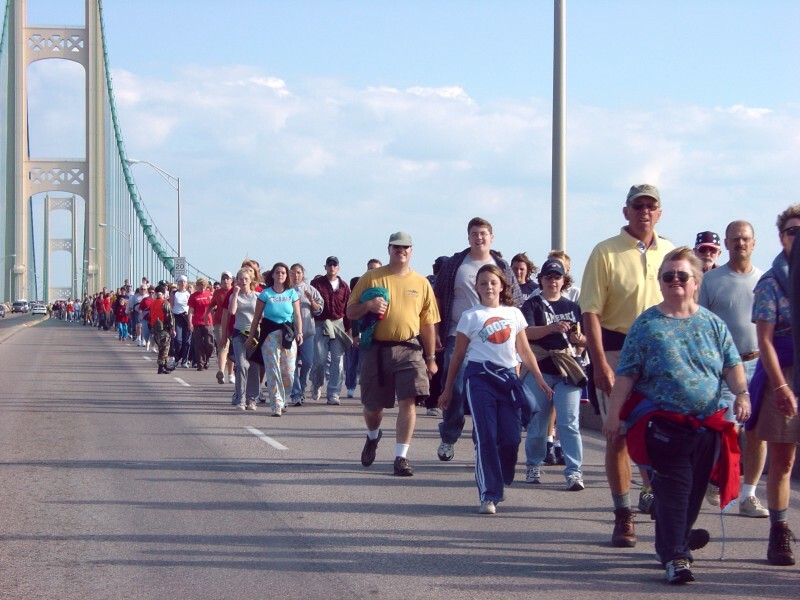 – The total length of the Mackinac Bridge is 5 Miles or 26,372 Ft.
– The total length of the steel superstructure is 19,243 Ft.
– The length of the suspension bridge (including anchorages) is 8,614 Ft.
– The Mackinac Bridge Authority, reported in July, that 429,061 vehicles crossed the Mackinac Bridge during the month of June. – The bridge connects the upper and lower peninsulas of Michigan. – The bridge lies between Lake Michigan and Lake Huron. Why target the Mackinac Bridge? 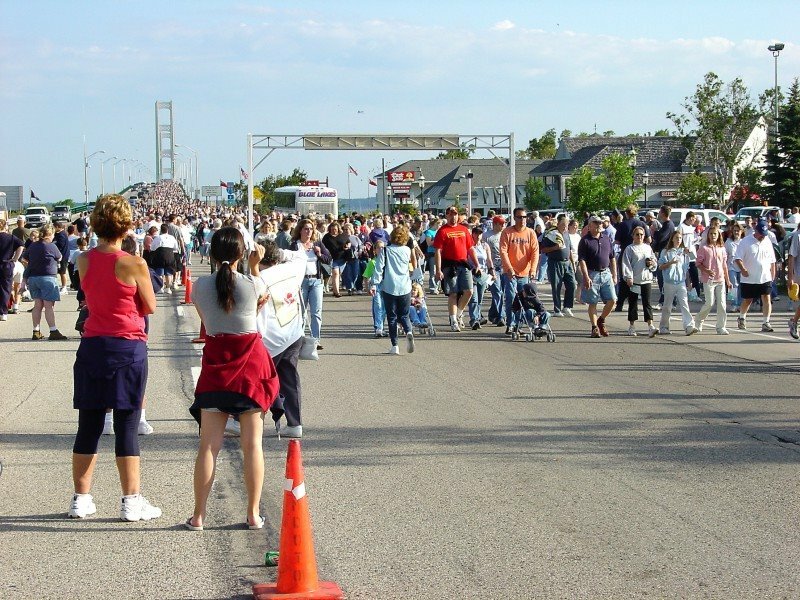 Could it have anything to do with the Annual Labor Day Bridge Walk? 58,000 people take part in the walk! 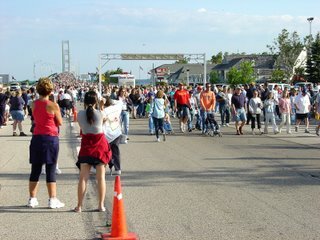 This year the Mackinac Bridge Walk will be held on September 6, 2006.